Love the way that you have done the title on this page!! I really love the overall composition of this page! 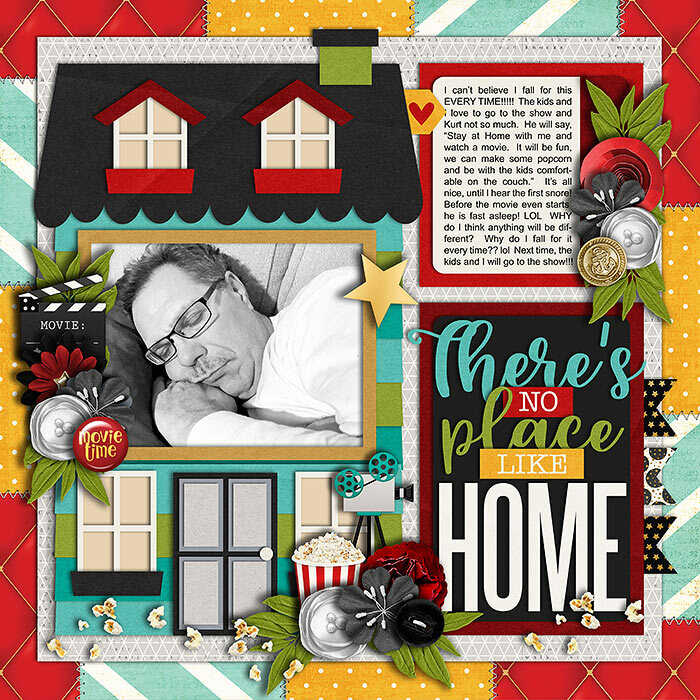 Love the title and the pops of color with the black on this layout! My husband falls asleep watching TV too! Beautiful little cluster with the popcorn.